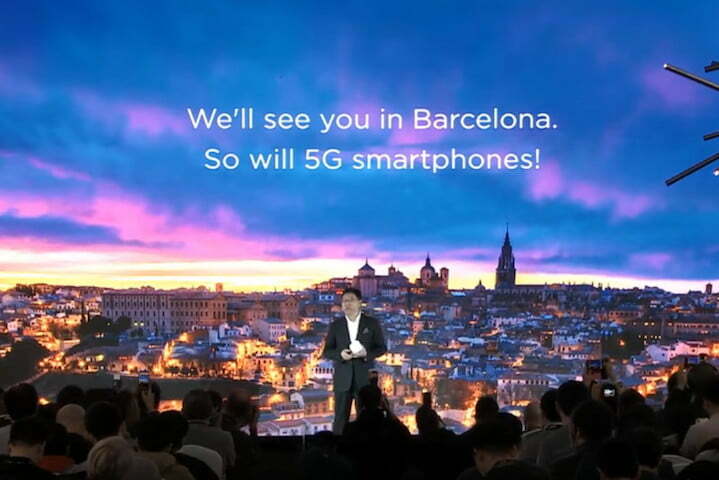 Earlier last week on the 24th January 2019 at Huawei’s 5G media conference held in Beijing, Huawei Consumer Business Group CEO Richard Yu hinted that new 5G capable smartphones will be launched at MWC 2019. Moreover, there have been many news sources claiming that Huawei is also working on their foldable smartphone. Could Huawei realise the vision of a 5G capable foldable smartphone in such a short amount of time and surprise the world with their new technology at MWC? Is foldable smartphones even a real thing? How to achieve 5G with Kirin 980? Now, we know that foldable smartphones could be made possible with today’s technology. How about 5G? Being a strong infrastructure provider of 5G networks, Huawei is in the forefront of 5G technology. They can also take advantage of the know-how in 5G to be one of the firsts to introduce 5G capabilities to their smartphones. Indeed, Huawei also unveiled the new 5G multi-mode modem Balong 5000 at the media conference last week, signalling the impending release of 5G smartphones to market. However, the current flagship Kirin 980 SoC only comes with a Cat.21 LTE based modem that’s capable of 1.4Gbps. How can Huawei infuse the new Balong 5000 into the Kirin 980 SoC to achieve 5G features? This could be done in two ways, namely editing the design of the modem in the SoC and rebranding the chip with with 5G capabilities, or simply adding an additional 5G modem on top of the current SoC. It could most likely be the latter, as the Kirin 980 chipset has already been designed to be “5G Ready”. In other words, Kirin 980 can actually function with an external 5G modem to enable 5G support. However, with an additional modem, these new 5G phones will also consume more power, and therefore, could potentially affect battery life. Will the Huawei P30 be this new foldable 5G smartphone? Traditionally, Huawei will launch their new generation P-series smartphones in the March period. For Huawei P10, it was launched at MWC 2017, while the P20 was launched at a separate event last year in late March. It’s timely for Huawei to launch their new P30 with these new features, which could also be seen as befitting of the premium flagship series. Or could it be that Huawei will launch a new lineup of device altogether? There were also news stating that Huawei has registered new product names in Europe for their Mate Series. These names includes the Mate F, Mate Flex, Mate Flexi and Mate Fold. It could be likely that the new foldable smartphone will use one of these names. There are pictures that are leaked online on the new P30 series. However, none of them looked like the design of a foldable smartphone. It really seems that Huawei has got something up their sleeves. MWC will have all the answers. According to Phone Arena, Huawei’s keynote event is scheduled to be on stage at MWC 2019 on 24th February at 2PM (local time). We could expect some surprises then, but my guess : the P30 series will still look similar to the P20 pro, but with 5G support. Huawei will then announce a new foldable smartphone lineup, probably known as the Mate Flex. What do you think?